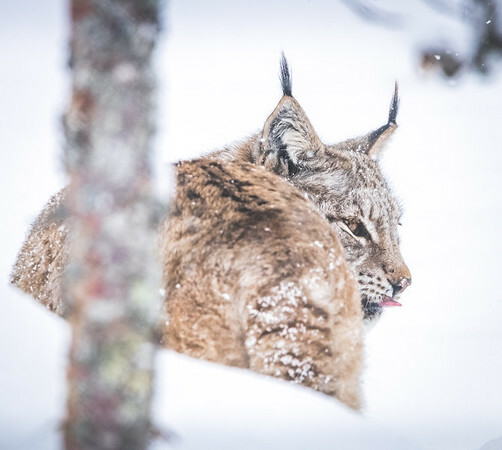 Eurasian Lynx in Norway. It was snowing heavily which gave this picture a high key white-out look. I think it really works well with the subject (Lynx) here makes it stand out. These little guys are one of the best hunters in the animal kingdom and can bring down larger prey like red foxes, wild boar, young moose, red deer and reindeer. Red deer stag at Polar Park. It was at the end of our walk around polar park when we came across this majestic animal. It has begun to snow which provided an ideal setting for this shot showing the animal in its natural surroundings and the fierce conditions they have to endure. These animals can catch a bird right out fo the air and can also hunt larger prey like red foxes, wild boar, young moose, red deer and reindeer. They hunt using both vision and hearing, and often climb onto high rocks or fallen trees to scan the surrounding area. 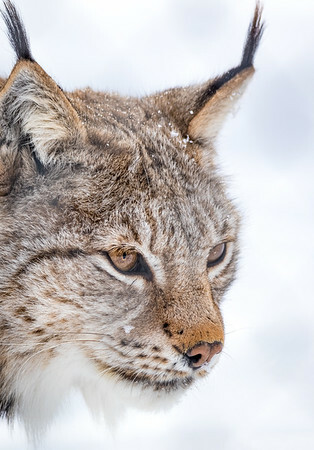 A very powerful predator, these lynxes have been known to successfully kill adult deer weighing at least 150 kg. Now that's a beautiful red deer stag. The antlers cover in snow during a blizzard is what interested me the most. 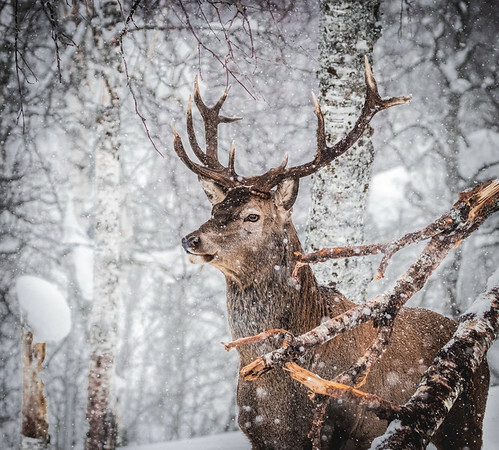 The streaky patterns on the dark antlers covered with snow provide great contrast and interest. 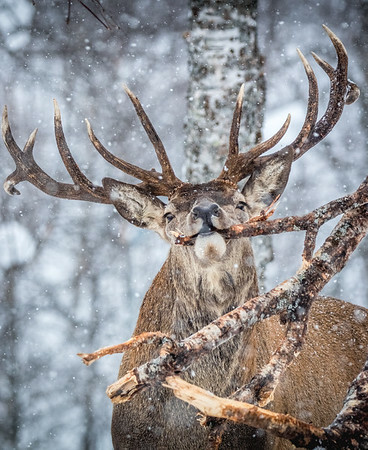 Antlers typically measure 71 cm in total length and weigh 1 kg , although large ones can grow to 115 cm and weigh 5 kg .Antlers are made of bone which can grow at a rate of 2.5 cm a day. 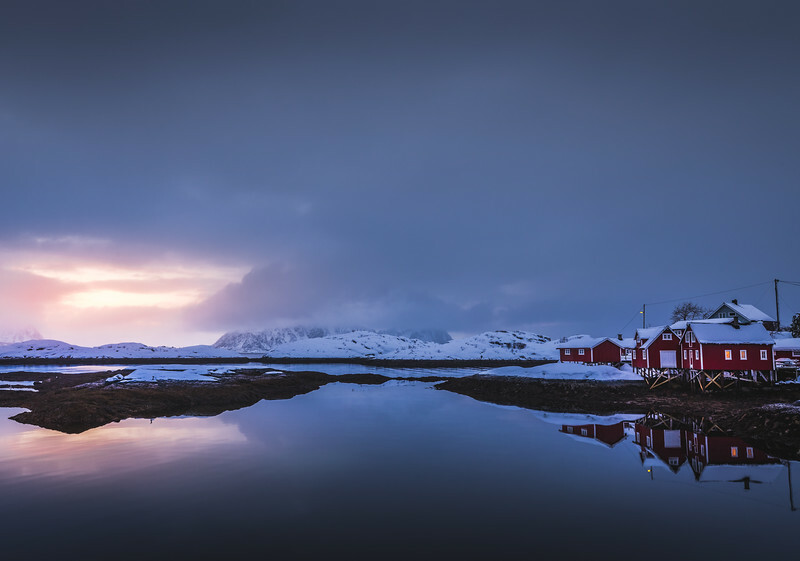 Shot at Polar Park, Norway. I was really fascinated by the shape and the patters on the horn. I decide to go for a tight shot and fill the frame with the horn. 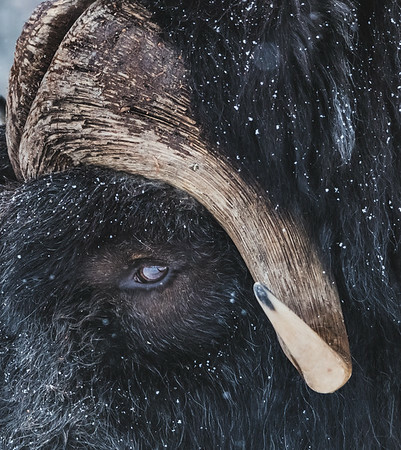 It was snowing heavily which can be seen on the fur of the Muskox. Adult muskoxen on average, weigh 285 kg and range from 180 to 410 kg. A muskox can reach speeds of up to 60 km/h. This Lynx doesn't want to be bothered. 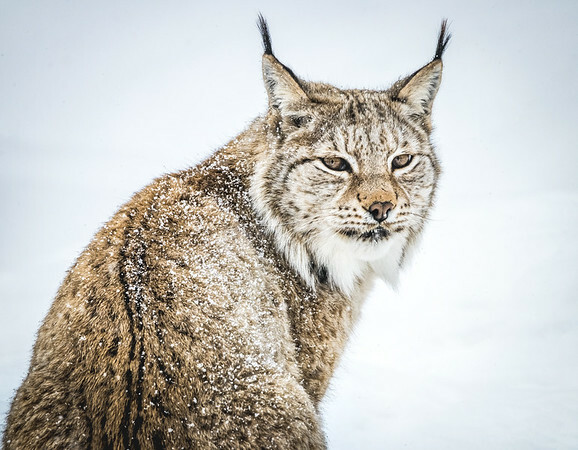 Lynxes can catch a bird right out of the air and can also hunt larger prey like red foxes, wild boar, young moose, red deer and reindeer. They have been known to successfully kill adult deer weighing at least 150 kg. 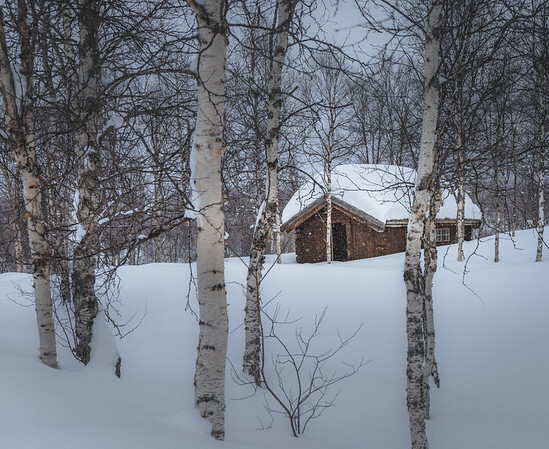 A cabin in the snowy woods of Norway surrounded by Birch trees. While its snowing and freezing outside, I bet its nice and cosy inside. I love the contrast between the white birch trees and the dark exterior of the cabin. Would you live here in the winter?